This last weekend I was in Belleville for the eastern stop of the CSFL Bassmania tour. The Bay of Quinte is one of the best fisheries in Canada, and this weekend it lived up to its reputation. In practice I had located lots of smallmouth bass (including a few big ones) on Lake Ontario, a 60 mile run from the boat launch in Trenton. The weather cooperated and Doug Strong (my fishing partner) and I made the long run out to Lake Ontario relatively unscathed. The day was going great with lots of big fish in the boat. I knew we had a good limit of bass, but I was not confident it was enough for the win; and it wasn’t. The Johnston brothers of Peterborough came in with a record setting catch of 27.3 pounds to take the win. We ended up in forth place (of 75 boats) with 23.55 pounds, my heaviest ever limit of fish. The winds were still cooperating on Saturday so we made the long trip out to Lake Ontario; this time with mixed feelings. The only fish we didn’t catch the day before were the smaller ones, so we would have to get lucky this day to bring in a big limit. This day also went exactly as we had predicted. We caught over 40 smallmouth bass (half on the jerkbait which was an absolute blast), but none over 4 lbs. On day two we weighed in 17.25 pounds good enough for 20th place (out of 63 boats). A good day and we were happy we with decent points to help us qualify for the year-end classic. On day 3 Lake Ontario was out of bounds so we would have to find some largemouth bass in the Bay. 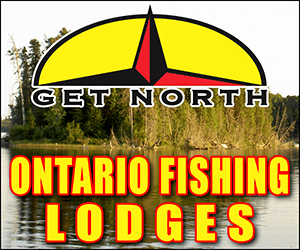 Doug and I had pre-fished the Bay of Quinte (excluding Lake Ontario) just one day and it was a tough practice catching only small fish and only able to fish certain sheltered bays due to high winds. We had little hope for this day and again needed to get lucky to pull off a good finish. In the end it was another day of catching lots of fish, but this time none were over 3 pounds, so we ended as expected near the bottom of the pack in 44th place (out of 56 boats). Even with a poor showing on the final day it was a great weekend for us. It is pretty tough to complain when you weigh-in your personal best limit, competed for top place and catch over a hundred bass. Congratulations to day one and day three winners Cory and Chris Johnston and congrats to day two winners Jim Dodd and Chris Giles. Another impressive performance by the Johnston brothers. Good Job bud! I remember the nerves in the mroning wondering if I can make the run to the lake. Sound like an expensive weekend of fishing with those long runs. Well done on the big sacs of fish. That's a great bag of bass. Congrats on placing fourth.